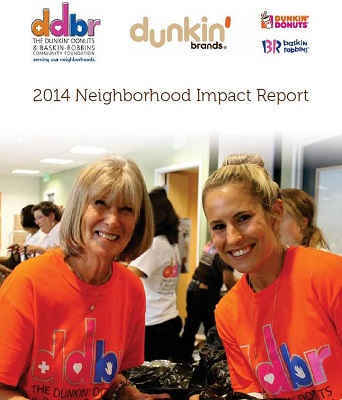 This month, Dunkin’ Donuts’ parent company, Dunkin’ Brands in partnership with The Dunkin’ Donuts & Baskin-Robbins Community Foundation (DDBRCF), published its 2014 Neighborhood Impact Report, highlighting the great work performed by franchisees and the DDBRCF. 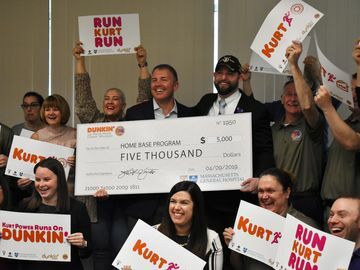 Community is at the heart of our business and our franchisees show this everyday by being actively involved in their community by providing product and raising funds for countless local organizations. This past year was record-breaking! 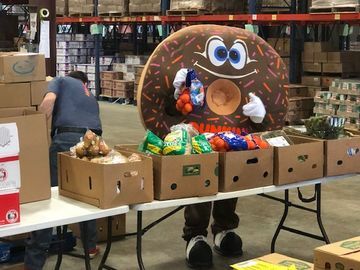 In addition to raising an unprecedented $3.2 million, we also launched our first national in-store fundraiser and hosted a National Week of Service, which engaged nearly 1,500 employees, franchisees and crew members in volunteer events at 50 food banks across the country. 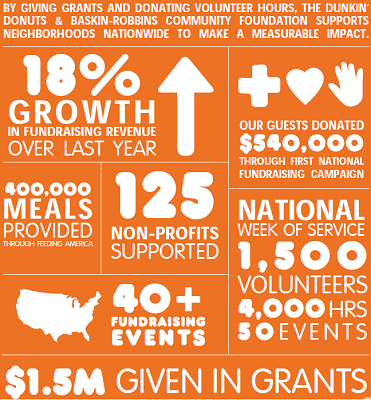 We are grateful to our guests, franchisees and partners who have helped make 2014 a successful year for The DDBRCF, and we look forward to another great year in 2015. 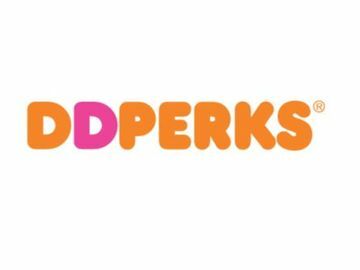 To view the full report, please visit the here: http://www.dunkinbrands.com/foundation.